To start this was an excellent story. It is also my first read of work done by TurtleBoy. The story was well fleshed out and flows with good character development. The author does a great job not only explaining the back story of the events, but also of the main characters, Dustin and Allen. The secondary characters are fleshed out enough that the reader gets a feeling of them being real people in the story world, while leaving out the extraneous information that will expand the author’s word count, but not give much to the story line or progress the plot, as is seen with many other stories. The characters are really likeable and draw the reader in quickly. Dustin appears to be the normal average teen who is more concerned with social standings and acceptance, having convinced himself that these things are needed for him to be happy, while Allen is the outcast teen who is not accepted, based on his general character not being well known by others and he seems to have more of the loner intellectual type of personality at first. The title of this tale was intriguing, and the plot plays well into it. 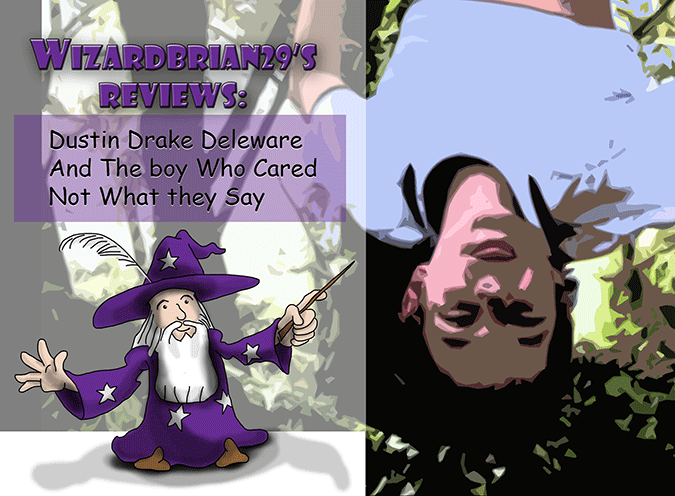 Throughout the story you have young Allen trying to convince Dustin that something is true and Dustin disputing that fact all the way up to the very end with a very heartwarming twist of that plot, leaving the reader to sit back and smile. I must say that the worst part of this story was that it had to end. I for one would love to see how things play out as Allen attends high school. And after the spot of trouble that Dustin found himself in with his former friends, how will he adapt? Will he take Allen under his arm and use his being a senior to try and offer the younger lad some sort of protection? I guess, fellow readers, we will just have to wait and see. All in all, a great tale and masterfully written. I highly recommend with 5 Stars and will say that you are missing a great little adventure if you pass this one up.